We all know the numbers: two million US troops were deployed to designated combat zones in Iraq. Of them, 4,500 were killed in service. By the most conservative estimates, 30,000 were wounded, but this statistic fails to take into account the most common—and often just as disabling—category of combat-related injuries: post-traumatic stress disorder and related traumatic brain injury. For Army of One, photographer Elisabeth Real looks beyond these numbers to the individual soldier. From 2006 to 2012, Real spent time with six men who served in Iraq and whose lives have been irreversibly altered by the war. Five of the men have been diagnosed with post-traumatic stress disorder. Through intimate photographs and in-depth interviews, Real tells their stories. 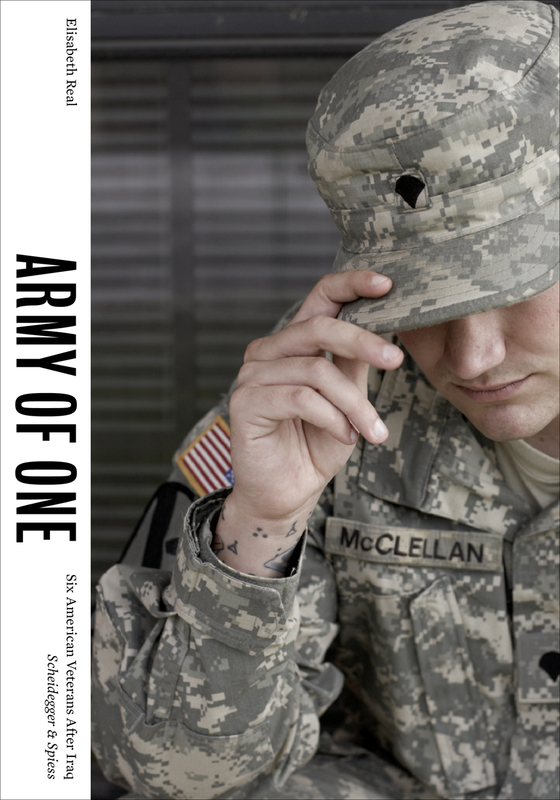 “Army of One,” the since-retired recruitment slogan, suggests that, by taking your future into your hands, you will be as powerful as an army. Yet, for many soldiers, it has come to mean exactly the opposite. A single diagnosis of post-traumatic stress disorder can cost up to $1.5 million over a soldier’s lifetime, and many are left to suffer this condition alone—the lone warrior fighting a war he or she may never win. Real’s photographs capture the difficulties the men have faced since returning and how, in turn, the consequences of the combat experience have carried over to affect their families and other aspects of their civilian lives.